This statistic shows the annual revenue of Kakao in 2018, by segment. 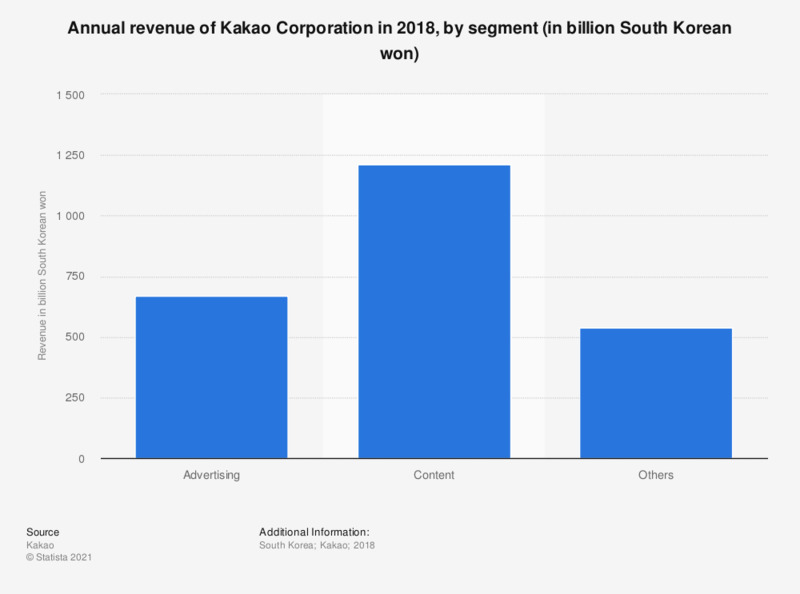 In that year, Kakao's annual advertising revenue amounted to around 670 billion South Korean won, while content revenue amounted to more than 1.2 trillion won. ** Others include Loen (others), commerce (Gift Shop, Kakao Friends), mobility (Kakao Taxi, Kakao Driver), Fintech, etc.